Enhance the energy of your sign! 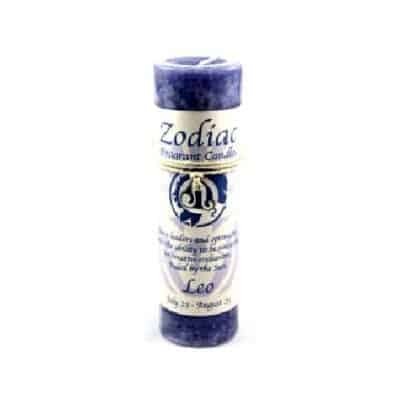 We empower our zodiac collection with the fragrant scent of pure essential oils and decorate each candle with beautifully made, heavy duty pewter pendants representing each sign. These charms can be worn independently as a necklace or anklet. 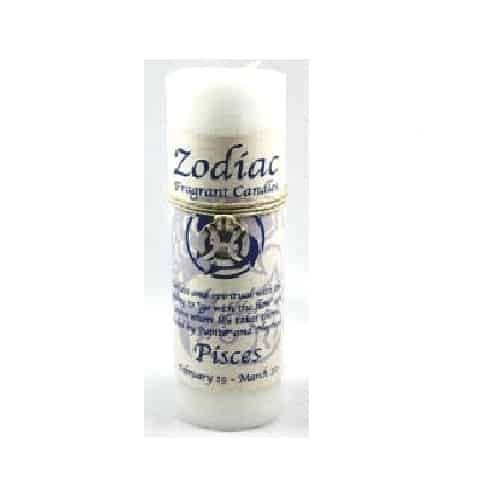 We create each candle with the rich color your particular sign needs and we accent them with an informative, colorful horoscope about you! A 3-in-1 gift: you get the candle, a necklace and the horoscope! 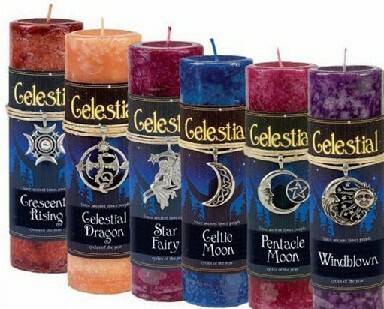 These pillar candles measure approximately 1.5 x 6 inches tall and will burn 40-60 hours. Lead free, hand poured, made in the USA. 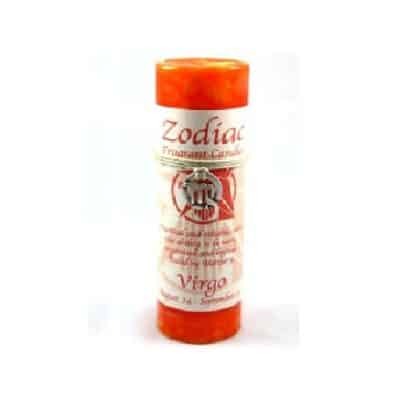 Ideal for use in celestial meditations, each particular horoscope sign, relaxing to astrological music, or understanding your element. Choose your sign! A 3-in-1 gift: you get the candle, a necklace and the horoscope! 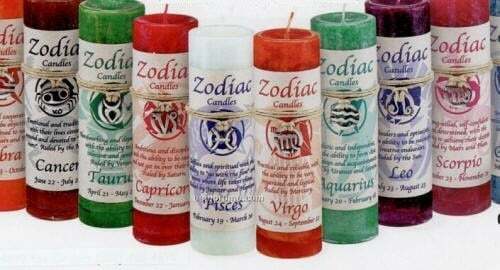 These pillar candles measure approximately 1.5 x 6 inches tall and will burn 40-60 hours. Lead free, hand poured, made in the USA. 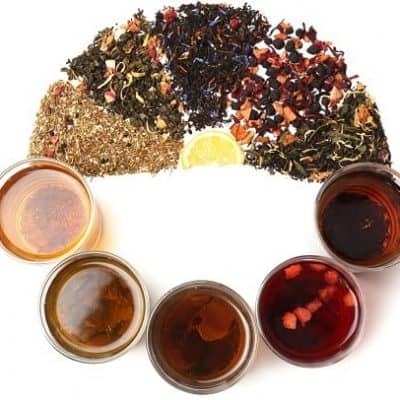 Ideal for use in celestial meditations, each particular horoscope sign, relaxing to astrological music, or understanding your element.